There is a new Halloween Haunt in Los Angeles this year. Is it worth the ride out to Santa Monica? 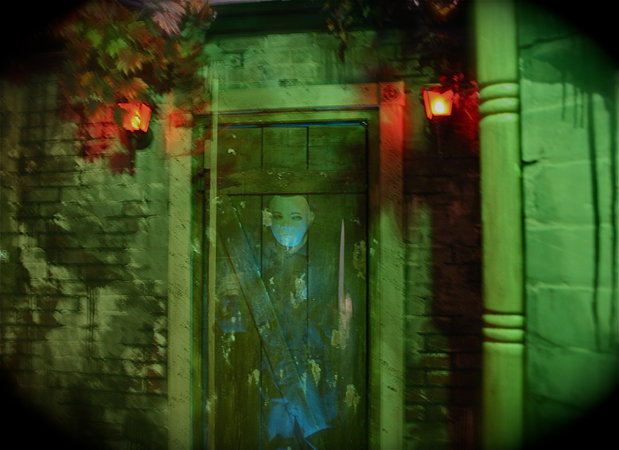 Read our Paranoia Haunted Attraction Review to find out...if you dare! 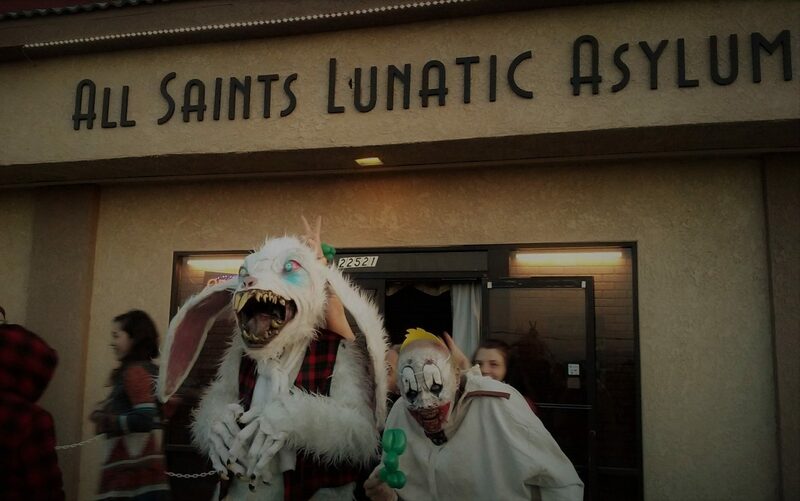 GOOD NEWS: Santa Monica finally has its own haunted attraction this Halloween. The West Side area of Los Angeles has long been barren of professional Halloween events. Our eldritch memory must stretch all the way back to the previous millennium to recall an arcane era (i.e., the 1990s) when there might be an annual haunted maze on the pier in Santa Monica or in an abandoned building on nearby 2nd Street. The arrival of the new Paranoia Haunted Attraction in the Santa Monica Place Mall fills an abysmal black void more terrifying than the Seven Gateways of Hell. BAD NEWS: Paranoia Haunted Attraction is a "haunt in a box" - actually, three haunts in a box: the makeshift mazes recall those Halloween attractions you used to find haphazardly set up in shopping center parking lots; plywood flats are linked together into corridors, creating a lengthy labyrinth with many right angles and blind corners but little atmosphere or sense of place, making it difficult to pretend that you are inside a real "haunted house." The whole operation, as the name implies, could be packed up in a box and shipped to some other location. 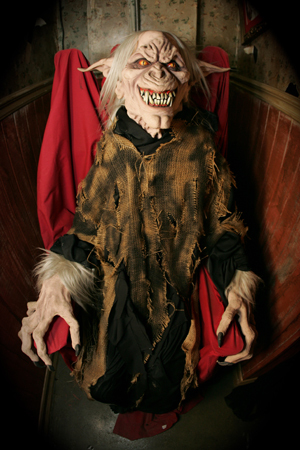 REDEEMING FEATURES: There are a couple of clever touches in the first two mazes, and the third maze is loaded with impressive props, set pieces, and mechanical effects from the Molar Manor Haunted Attraction, which used to operate in Santa Clarita before closing up a few years ago. Standing within this maze and watching the Headless Horseman rear up on his horse is the sort of Halloween thrill we live for. Paranoia Haunted Attraction is set inside the upper level of the mall, inside a large retail space that would normally house a major department store. Instead of using the barren walls and ceilings as the starting point for some maze themed around a modern urban apocalypse, the haunt presents more traditional themes, which do not necessarily sit so well within the environment. We mentioned plywood walls a moment before, but there are no plywood ceilings; whether you are walking through The Infirmary, Insomniac Clown Playhouse, or Granny’s Manor of Mayhem, you can almost always look up and remind yourself that you are inside a mall. One problem with the set up of the Paranoia Haunted Attraction is the layout: the labyrinth of lines to get inside the mazes is almost as intricate as the mazes themselves. 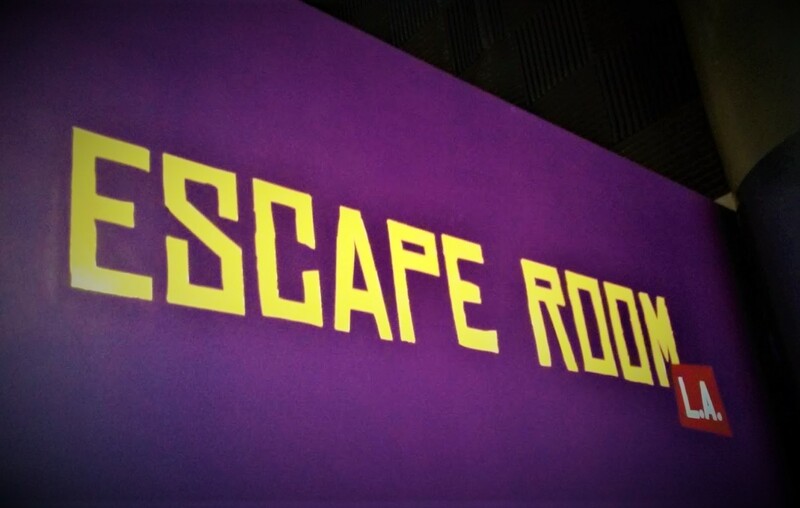 Each maze releases you near the back of the retail space, forcing you to walk almost all the way around the mazes and past the lines in order to exit the retail space and then re-enter so that you can move on to the next maze. This circuitous route may be necessary to avoid gridlock on crowded nights, but on the sparsely populated Sunday night we attended, it was absolutely ridiculous. How hard would it have been to unhook a few ropes and create a more direct route back to the maze entrances? It would be a shame if some customers got tired of making the circuit before entering Granny's Manor of Mayhem, because that's the one that makes Paranoia Haunted Attraction worth visiting. The Infirmary presents a hospital where the dictum "do no harm" has long been forgotten. The labyrinth consists mostly of unadorned corridors, with only a few sets, seldom suggesting that you are inside a sick ward. Fortunately, the hallways may be un-decorated, but they are not under-populated: there were plenty of monsters lurking about, even on a night with relatively low attendance, and the actors were admirably enthusiastic about scaring us. Also, there are a few nice mechanical props portraying ghastly executions (an electrocution and a hanging), and there is a clever touch here and there: e.g., a giant figure leans in a corner, and while you stare and wonder whether it is a stationary prop or an actor in costume about to come to life, a ghoulish character sneaks up on you from the other direction, delivering a completely unexpected scare. Insomniac Clown Playhouse is another variation on a much-overused theme. Again, we get plywood corridors with few sets, but at least this time the walls have been painted with demented black-light images that add a little pizzazz, and there are one or two rooms with some interesting lighting effects (e.g., countless circles of light dancing like disco fallout). Despite our aversion to the clown theme, this maze actually works a bit better than The Infirmary. Again, the actors work hard to liven up the simple settings. Granny's Manor of Mayhem is almost the complete antithesis of its two predecessors. 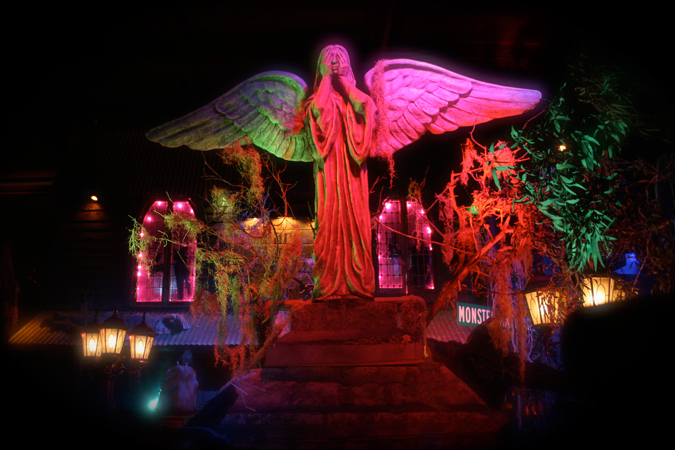 From start to finish, it is filled with props and set pieces. There are still costumes actors prowling the hallways, but many of the scares are delivered by mechanical effects: a desiccated cadavar pops out of a tomb; a door opens to unleash a ghostly inhabitants; and in a particularly highlight, Norman Bates (a live actor) welcomes you to his motel and introduces you to Mother's corpse - which shoots down the stairs at you. There is a particularly nice version of the old spinning tunnel gag (the walkway is grated so that you can see through it, increasing the vertigo effect immensely). And of course, Molar Manor's old "tight tunnel" is there: you force your way through a tightly packed series of inflatable airbags, and unlike other versions of this effect - it feels difficult, almost impossible, to get through. This is easily the highlight of Paranoia Haunted Attraction. Paranoia Haunted Attraction is a good local event; perhaps we should say a good "value-added event." If you are in Santa Monica, walking on the beach, shoppping on the 3rd Street Promenade, seeing a movie, or visiting the mall, then you might as well add Paranoia to your itinerary. During our visit, we encountered numerous teens, young adults, and families with relatively young kids - all of whom were screaming in glee; none of them seemed particularly perturbed by the shortcomings we have noted. 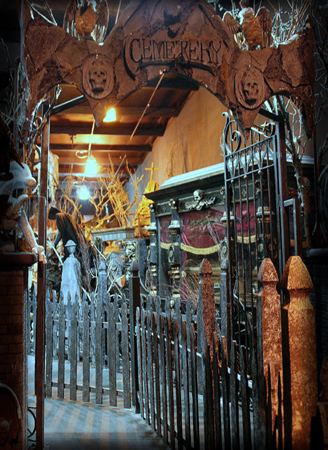 However, we would not recommend making a special visit, especially if you are a hard-core haunt-goer who demands convincing sets and intense scares from start to finish. General Admission tickets to all three mazes are $24 in advance, $30 at the door; VIP tickets cost $15 more. The prices are not outrageous by today's standards, but if there were an option to buy single-maze tickets, we might recommend skipping The Infirmary and Insomniac Clown Playhouse in favor of spending $10 or $15 just to see Granny's Manor of Mayhem. Paranoia Haunted Attraction allegedly seeks to rival major Halloween events in Los Angeles, such as Queen Mary Dark Harbor and Halloween Horror Nights at Universal Studios Hollywood. Aiming so high, it is perhaps no amazing surprise that the haunt falls short. 'Paranoia Haunted Attraction is nestled inside the Santa Monica Place Mall, 2nd Level, at 315 Santa Monica Place in Santa Monica, CA 90401. 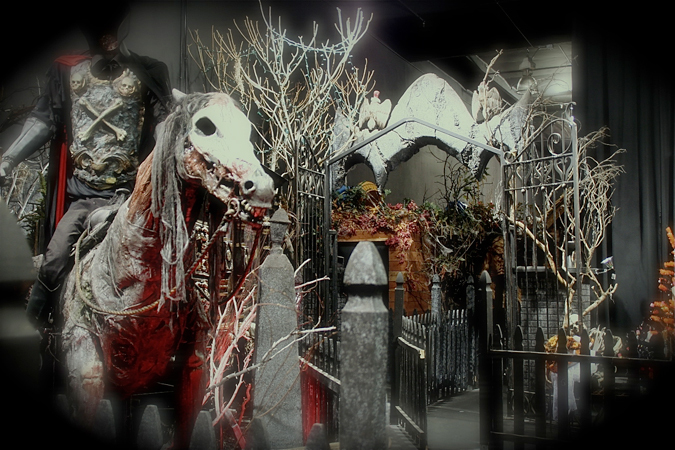 The haunt's remaining dates are: October 4-7, 11-14, 18-21, 25-28, 30 & 31. Hours are 7pm to 1am on Thursdays & Sundays; 7pm to 2am on Fridays & Saturdays (last ticket sold at 1am. Call (310) 394-5451 for more information, or visit their website.